Kharge also asked PM Modi to immediately convene a meeting of the selection committee to decide over the new director of the probe agency. New Delhi: Senior Congress leader Mallikarjun Kharge, one of the three members of the PM-led panel which decided to remove Alok Verma as CBI chief, has written to Prime Minister Narendra Modi, asking him to immediately release the findings in the CVC report, the Justice AK Patnaik report and the minutes of the January 10 meeting of the high-power selection committee in public domain. Kharge, in a letter, said the step should be taken so that “public can draw its own conclusions in this matter”. He also asked PM Modi to immediately convene a meeting of the selection committee to decide over the new director of the probe agency. In his two-page note to PM Modi, Kharge has raised questions on the propriety and how events were conducted to ensure the removal of Alok Verma for the post of CBI Director. He also alleged that the “manipulative actions of the government are causing deep embarrassment to the judiciary”. 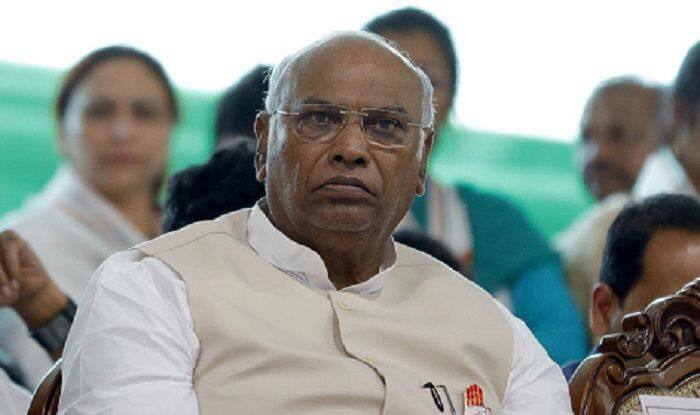 “Despite my best efforts to convince the members of the committee that we should be following the due process of law and the principles of natural justice, the members chose to take a decision based on the report that now stands disowned by Justice Patnaik,” Mr Kharge has said in his letter to PM Modi. A plea has been filed in the Supreme Court seeking a direction to quash the January 10 order of the government appointing IPS officer M Nageswara Rao as an interim director of the CBI. The petition, filed by NGO Common Cause and RTI activist Anjali Bhardwaj, has sought laying down of specific mechanisms to ensure transparency in the process of appointment of CBI director. It alleged that Rao’s appointment was not made on the basis of recommendations of the high-powered selection committee, comprising the prime minister, the leader of the single largest opposition party and the chief justice of India or a judge of the apex court nominated by him. In a 2:1 majority decision, the PM-led selection committee had decided to remove Alok Verma as the chief of the country’s premier investigative agency on charges of corruption and dereliction of duty, in an unprecedented action in the central probe agency’s 55-year history. While PM Modi and Justice A K Sikri voted in favour of Verma’s removal, Kharge gave a dissent note opposing the decision. He even asked the panel to compensate Verma by granting him 77 more days in office as the agency’s chief.